Model Avionics manufactures some of the best RC Helicopters products in the world. We give you the ability to get more out your heli setup. The best pilots in the world use our products because our proucts are the best in the world. Take a look around and see for yourself why we are number one. The best r/c helicopter pilots in the world use and recommend our products. Shouldn't you? 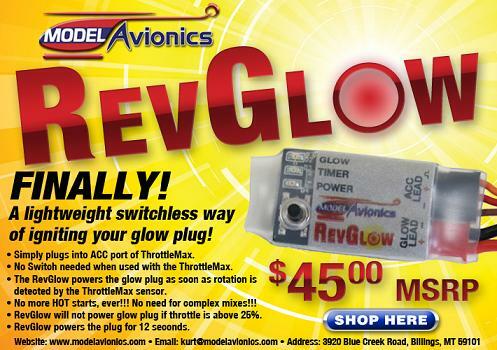 The Throttle Jockey RevMax is an RPM limiter. It allows the pilot to maximize the power from the engine while preventing overspeeding. The Throttle Jockey is a high performance, digital speed regulator for model helicopters designed to give optimum engine performance over the full pitch range.